Fire Combat’s deployable fire protection systems are engineered to provide independent, self-contained, unmanned fire suppression. These rugged, standalone units operate on AC power or maintenance-free, solar-rechargeable battery power. 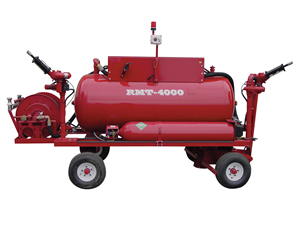 The RMT 2000 portable fire suppression system is designed with enclosed spaces in mind. This automatic fire fighting unit deploys cold, dense, high-energy foam to quickly and efficiently extinguish fires and seal potential fuel spills. RMT 2000 fire trailers feature state-of-the-art sensors and controls and an automated CAFS system that utilizes a high-powered oscillating turret to provide up to 5,000 square feet of coverage. Our RMT 4000 fire fighting system provides flexible and reliable automated fire suppression for enclosed areas and other locations. A step up from the RMT 2000, the RMT 4000 utilizes dual oscillating turrets to cover up to 7,800 square feet. Easy to tow and relocate as needed, this portable fire suppression system provides exceptional unmanned firefighting performance. 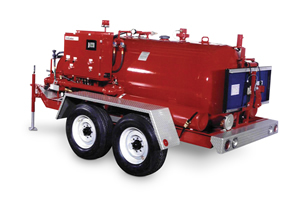 Fire Combat’s Defender One fire fighting trailers provide self-contained, unmanned fire suppression. With advanced sensors, fully-automated, oscillating discharge turrets, a 500-gallon tank, and solar-rechargeable battery power, the Defender One is a powerful and effective firefighting solution. 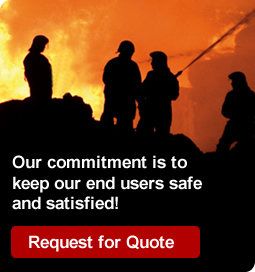 Request a quote on a deployable fire protection system for your application. Contact Fire Combat for more information.